Let’s talk about the American Soul, shall we? Many Americanism writers, like myself, talk about the essence of what Americanism is — but the term “soul” remains somewhat elusive. If you believe that we are currently seeing a “battle for the soul of America,” I suppose one first has to try to define what that soul is, especially to the satisfaction of those soldiers enlisted in the battle to save it. A soul is a funny little thing that is hard to define. Many would agree that each of us has one, but it is a slippery rascal – can’t be located, but we feel like it’s there all the time. We should start by defining terms, otherwise we risk throwing words around that could have clouded meanings. Principle: A broad basis for social action, interaction or collective leadership; a steadfast tenet of moral individual social behavior, i.e. the right thing to do in a given circumstance. Value: A broad principle that we have decided as a nation to hold up to the rest of the world as something very important to us. This could be free and fair trade, education or some other facet of our society. Behavior: The way someone takes a social action. This is a total observable activity by others. Soul: The overwhelming combination of American principles, values and behaviors. It can also be labeled as the American character, or Americanism; who we are as a people. 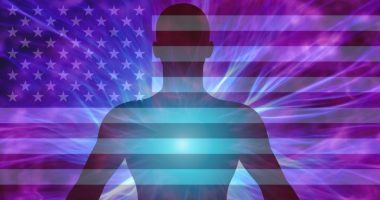 Some may ask, “Is it possible to define the American Soul?” or “If we can safely say that a majority of Americans have a certain set of principles, values and behaviors, can we then logically attribute them as characteristics of the American Soul? My own answer to those questions is a resounding, firm and clear… maybe! Let’s go back to 1968, a tumultuous time in American history. Television show host David Frost asked political personalities the following question: What is the essence of being American really? Are there any essentially American characteristics? Richard Nixon: Of the American people, yes. Americans really believe their mission in the world, if they have a mission, is not to expand Americanism, so-called, but really to try to work for a world in which everybody can choose. The people of the United States need a dream, they need a vision, and they need a purpose larger than themselves. Ronald Reagan: I think there is a generosity inherent in the American people. I think there’s also kind of a pioneer of the American. Tell us where we’re supposed to be and we’ll get there. This, I think, is an American characteristic. There’s a third one, and this is probably the least understood in foreign countries when Americans are tourists. I think Americans are kind of like puppy dogs. They love everybody and they can’t understand why everybody doesn’t love them, so when they go visiting some other country, they want to walk up, knock on the door, and stick out their hand and say, “Hello, I’m Joe Smith from Arkansas”. I have assembled a list of those things I believe nearly all Americans would say are essential to the American character and who we are as a people. Of course, anytime one makes a list, there will almost always be something excluded from it that could be included. However, here’s my proposed list of present-day American principles and values: unity, truth, passion, perseverance, benevolence, leadership, optimism, courage, liberty & freedom, exceptionalism, spirituality, community, inclusion, love and civility. Together, for me, they represent the American Soul. Descriptive examples of each of these values is beyond the scope of this short article. For example, if we propose American exceptionalism as a value, we might state it’s not about superiority over others but, rather, it’s about our type of government – a constitutional republic. It has been an extraordinarily successful and durable form of government that has sustained us throughout our 242-year history. Constitutional republics are a rarity on the world scene. Out of 196 total countries in the world today, only 11 are constitutional republics – and we are the oldest of that group. We can indeed define the American Soul in terms of values – and we haven’t changed as much as one might think over the years. The problem we are experiencing now is a disagreement mostly about means, not ends. We continue to mire ourselves in left-right, up-down debates without examining the underlying values that pushed us to argue in the first place. Add to that the other problem of daily behaviors; you see, a growing number of Americans are betraying their values in their behaviors. That is where we should place a great deal of education and remedies. Being a great American is to behave in accordance with national values. That’s what makes one a great American; a great American has a large and visible American Soul. I hope that we can get both sides to agree with the values Dr. Brescia enumerated!